This is an easy sandwich to make, and is versatile too. 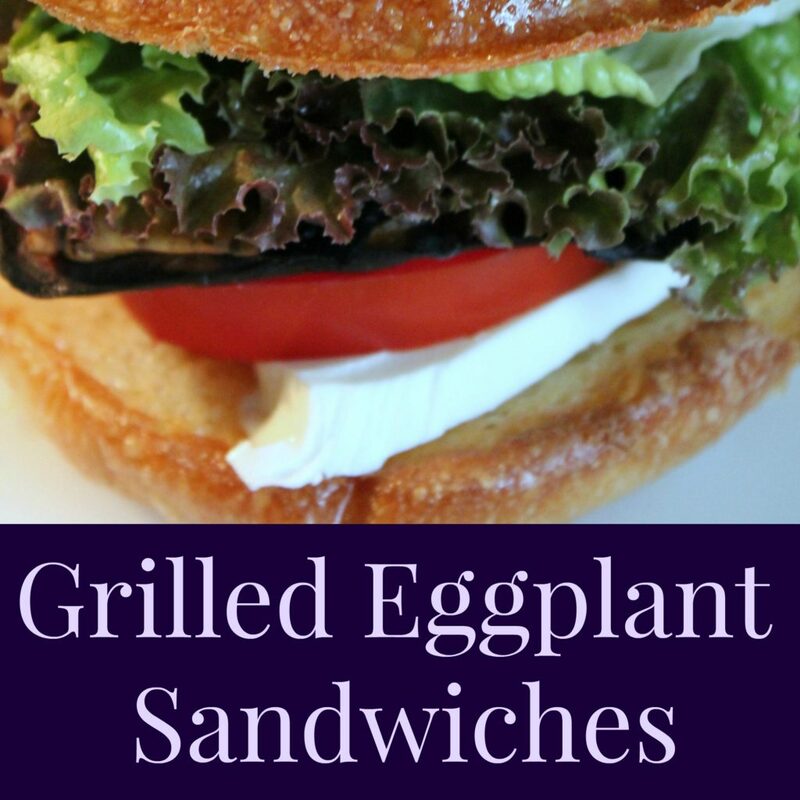 I am a vegetarian, and the grilled eggplant gives sandwiches or wraps an extra hearty flavor and filling. It also gives you a chance to use fresh ingredients out of your garden. Customize your sandwich with extras like tomato, mayo, onion, pesto, Kalamata olives, etc. Cut into slices approximately 1/4″ thick. Lay the slices on a tray and generously sprinkle with salt on both sides. Allow to sit for about 15 minutes. Pat dry with paper towels, and brush both sides with olive oil. Place on the grill, flipping halfway, until both sides are nicely browned. 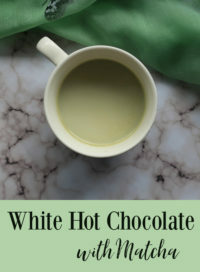 (You can alternately roast in an oven). Assemble your sandwich or wrap ingredients. A “Greek” version could be romaine lettuce, roasted eggplant, Feta cheese, and Kalamata olives. You can drizzle with a little bit of olive oil as well. Or, you can do a combination of eggplant, romaine, tomatoes, pesto, and fresh mozzarella. The eggplant can be used warm or cold. I grill a whole eggplant and save my leftovers. This I have made, and really is is quite good. I enjoy eggplant and this is a terrific way to eat it. The slices are the perfect size. I am a big fan of eggplant and enjoy it cooked in different ways. I never had it grilled though and would want to try this too! 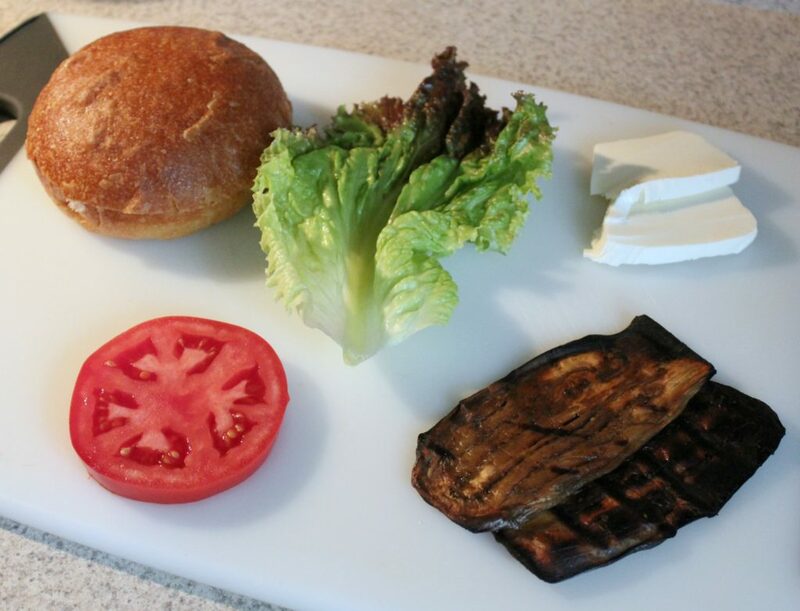 I have never grilled eggplant. What a great idea. This sandwich looks amazing. Thank you for the recipe.